If you are looking for some great resources to help you get the most from your Icelandic study, here are some excellent resources that could be useful to you. And great news, some of the resources listed are a few of those how to learn Icelandic book you’ve been looking for! Once you have begun the journey to understanding the Icelandic language, you will probably begin looking for books and other materials that will help you study the language better. You most likely find these books as you search for the right study material. These could be perfect for you! If you are new to Icelandic, this book is a great book to start studying with. It could also be a great find if you are trying to learn Icelandic on your own. The audio that comes along with this book is also an amazing find. It is read at a slower pace and has great annunciation, both of which should help a new learner discover the correct pronunciation of the language. Complete Icelandic is the latest edition; however, little has changed between the earlier edition titled “Teach Yourself Icelandic”. Both additions have identical audio dialogue; the only difference between the two is a slight change in the formatting and an additional chapter-by-chapter summary. The text of the book is almost identical. Another great book for someone looking to learn Icelandic is Colloquial Icelandic. This book is more of a challenge than the book mentioned previously. Its audio is read at a pace that is harder to follow along with since it is read at an almost-normal or normal pace. The material is vaguer, but it covers more of the language’s structure in each page. This collection of Icelandic material is completely in the Icelandic language; however, reading the books mentioned above should completely prepare you to read this book. It is easy to question one’s ability to read it at first, but as you put effort into reading it you might even find the series enjoyable. The collection is written to help immigrants and visitors of Iceland. It covers a great amount of the problems one might have to deal with if coming to Iceland for a first time. This is a great how to learn Icelandic book. This book is wonderful for anyone just starting out on their journey toward understanding Icelandic. It comes complete with an amazing 60-page guide to Icelandic grammar, and a book of questions and answers to help you conquer your new language. The grammar guide should give you guidance like no other Icelandic language program. Sagnsyrpa is a wonderful book series to read between language books. It is a collection of sort written pieces that start out easy to read and build in difficulty letting your language abilities grow with the text. It was written by multiple authors so it should give you a greater understanding than some other books. It also offers you a test to challenge your abilities and build your Icelandic language skills. If you are interested in truly testing your language abilities this might just be the book for you. It contains no other languages other than Icelandic, so it forces you to expand your understanding completely. It would be wonderful for the Icelandic student who is in the middle of their learning experience but would probably not be the place for a beginner to start. This is a grammar book that will allow you to quit seeing Icelandic as a language you are learning and lead you to the point when Icelandic is a language you truly understand. This is an amazing book for anyone who is studying Icelandic and can be a valued resource to most Icelandic language students. This book comes along with a second book that offers stronger learning with exercises. This companion book can truly add to your learning experience. This is one of the older Icelandic vocabulary books; however, its contents are still valuable with the modern language, and it is one of the greatest Icelandic language books available. The age of the writing does show its antiquity, but it will still be a valuable tool to aid in building your understanding of Icelandic. It is a wonderful extra resource to anyone who wants to truly understand the language well. This is one of the few Icelandic-English dictionaries available for the language student. It is also one of the best at helping you find the words you want to say. You might be able to find one of these dictionaries if you take a trip to Iceland. Or if you aren’t planning a trip anytime soon, they can be found online in the package set called University of Wisconsin Digital Collections. This book can help you search for words if you are talking with an Icelandic friend online or looking up Icelandic happening online. This is one of the most promising booksellers of Iceland. It is a large suppler and also has a very old history behind it. When you order from this company you can expect to receive your order with in seven days, give or take a few. Their products are also shipped and packaged well. This is the largest publishing house in Iceland. Orders from this company are normally a pleasant experience. This publisher has earned its good standing and their large size. This site will help you find the words you need to build the sentences you’ll need. It was put together by Árni Magnússon Institute for Icelandic Studies. This is a collection of videos. The series contains 21 episodes giving you a long and strong education of the Icelandic language. Each episode has been divided into halves which also enhances its educational attributes. The first half of each episode contains a short play of something one might encounter in day to day life. The skits are not going to win any awards; however, if you just trying to get a better understanding of the language, they should be perfect! This is a course you can find online. And a wonderful part of it is that the University of Iceland offers it for free, so you will have money left for new books! This online course offers a ton of quick drills, lessons, and even some audio is available through the site. This site will help you get a better understanding of the day-to-day grammar of the Icelandic language. It should give you the basics so that you’ll understand most of the conversations you’ll find yourself in as you first begin learning. This resource offers you better understanding of the most common Icelandic conjugated and verbs you will encounter. It also gives you examples of the way the Icelandic language uses these words. This is a website where you can find multiple people discussing things that are of interest to citizens of Iceland, while it also gives you a stronger understanding of the language! It should give you a better understanding of the language. Here are some news sites that you might want to visit. This website belongs to the Icelandic National Broadcasting Service. Here you can find out what is happening in Iceland in the native language. You will also be offered online news shows that might help you as well. This website is part of one of the largest newspapers in Iceland! 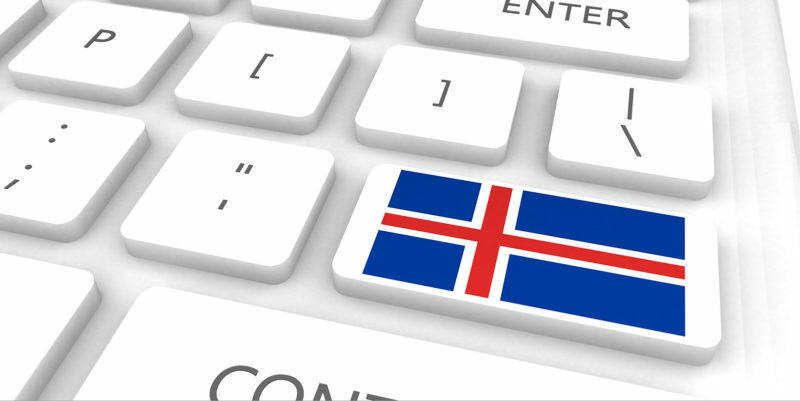 Here you can find all types of Icelandic media: news, radio, and video, this site has it all! This is one of Iceland’s newspapers! Published weekly for people of Iceland but you can find it in downloadable form here so that you can read along also!